The first confirmed case of the calendar year of neo-natal herpes that is directly linked to metzitzah b’peh has been confirmed by the New York City Department of Health, prompting the city to send out an alert warning medical personnel to be on the alert for additional cases. The DOH bulletin said that the baby in question was born after a full term pregnancy and displayed no health issues at birth. 15 days later the baby developed a rash that was diagnosed as herpes simplex on several parts of his body and was admitted to the hospital for a two week course of intravenous antibiotics. Doctors said that the timing and location of the rash, as well as the symptoms, were consistent with transmission of the virus via metzitzah b’peh. Just two cases of babies contracting neonatal herpes linked to metzitzah b’peh were reported to the DOH in 2016, with three incidents reported in 2015. 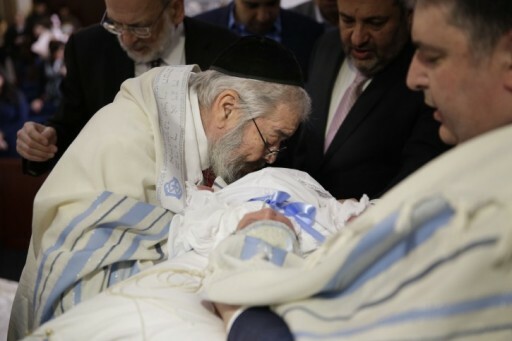 Of the 24 cases of metzitzah b’peh related neonatal herpes reported in New York City since 2000, two babies died and two more sustained brain damage. Metzitzah b’peh has long been the subject of controversy in New York City, with former mayor Michael Bloomberg enacting legislation that required parents to sign a consent form in order to allow the mohel to do metzitzah b’peh. Mayor Bill de Blasio repealed the Bloomberg instituted regulations in 2015 as previously reported on VIN News (http://bit.ly/2lEPLVI). A “Safe Bris” page on the DOH website explains possible concerns related to metzitzah b’peh and offers precautions, alternatives and downloadable Yiddish brochures and posters. According to the DOH, parents whose babies contracted neonatal herpes have said that they never saw the Safe Bris information. The alert advised the medical community to be on the alert for possible cases of neonatal herpes in any babies less than 61 days old and to ask parents of affected babies if metzitzah b’peh had been performed at the bris. Practitioners were also instructed to distribute the Safe Bris literature to their patients in order to better educate prospective parents. Was the Mohel tested to confirm it was due to the bris? Not yet, according to articles printed elsewhere. This is all not rocket science. Grow a brain. The headline says that it was confirmed, and then in the article you write "Doctors said that the timing and location of the rash, as well as the symptoms, were consistent with transmission of the virus via metzitzah b’peh." That don't sound like much of a confirmation. I hope when this is proven false in a week, that all the media reportsjust as boldly that they were WRONG . What connection does the picture have to the article? If none you should say so.